Universal predictions on the occurrence of cooperative breeding are still elusive. This breeding strategy is strongly linked to phylogeny; therefore, studies on species within groups where cooperative breeding is more prevalent could improve our understanding. Many diurnal raptors exhibit cooperative breeding, although occurrence rates are mostly based on anecdotal observations at nests. Here, we present a detailed study of the reproductive output and social organisation of the African pygmy falcon. Using data from six breeding seasons, we found helpers at 19% of nests. Helper presence had a positive effect on the body condition of the chicks as brood size increased, likely due to their contribution to feeding the chicks. Cooperative breeding groups were more likely to occur following years of higher reproductive output. Indeed, most of the helpers (77%) were non-dispersed offspring from the previous year, whereas the other helpers were immigrant adults (23%). We identified groups that included retained offspring (46%), immigrant adults (27%) or both types of helpers (27%). Breeding groups were also described as multi-male (65%), multi-female (26%) and multi-male-female (9%). 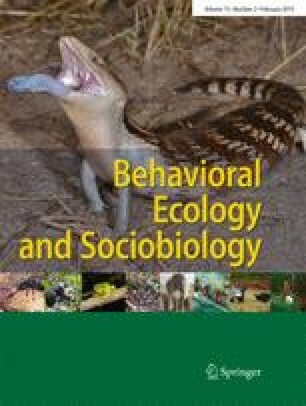 Pygmy falcon group composition proved to be highly variable and diverse compared to other raptor species, in which helpers are generally unrelated adult males, showing that selection pressures leading to group formation in diurnal raptors may be more diverse than previously thought. Cooperative breeding occurs when more than two individuals contribute to raising a brood of young. It occurs in approximately 9% of bird species and it is particularly frequent in diurnal raptors. We studied the breeding performance and social organisation of the African pygmy falcon and found that they form breeding groups at 19% of the nests. These breeding groups included the breeding pair plus helpers that are either males or females. Helpers were also either adult immigrants or retained offspring. We also found that groups produced healthier fledglings than pairs and that groups are more likely to occur following years with high fledgling success. With this work, we expand the number of studies on raptor cooperative breeding and explore the fitness advantages of group breeding in this species as well as the mechanisms behind group formation. We thank the Oppenheimer family, Tswalu Foundation and Tswalu Kalahari for permitting us to conduct research on their property. We thank also Anna Gamero for comments on previous versions of this manuscript and Arjun Amar for help with statistical analyses. Thanks to Stephen Pruett-Jones, Christie Riehl and Jim Bednarz for their review and helpful suggestions to improve the manuscript. The field work was funded by the NRF-DST Centre of Excellence of the FitzPatrick Institute of African Ornithology and by a Tswalu Foundation grant. RLT was initially supported by the Academy of Finland (grant no. 138049) and the University of Turku Collegium for Science and Technology grant for this work. The project conformed to the legal requirements of South Africa and has received research FAUNA permits from the Northern Cape Province’s Department of Environment and Nature Conservation, and an ethics approval from the Science Animal Ethics Committee (SFAEC) of the University of Cape Town, South Africa.